Hitsugaya Toushirou. chibi. Wallpaper and background images in the anime bleach club tagged: bleach hitsugaya chibi. Aww!Fitch u post cute pictures of em! 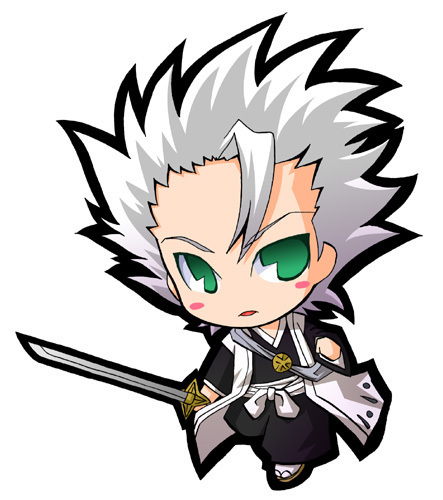 W ngefans ma hitsugaya coz imut bgt! Even if he's in chibi form he's still hot<3! am i having a dream? He does look cute as a chibi, but I think he looks a lot better in a normal picture... He's cooler looking when he has a serious look on his face. sassy6 should i tell toshi ermm i mean captain hitsugaya that u love him? ok 2 things HITSU IS MINE YOU PPL CANT HAVE HIM!!!!! also its spelld toshiro not toushiro no stinkin u!!! !